WD AV-GP SATA hard drives store more hi-def audio and video than ever before - 1TB. They are optimized with SilkStream technology to capture data from up to 12 simultaneous HD video streams. 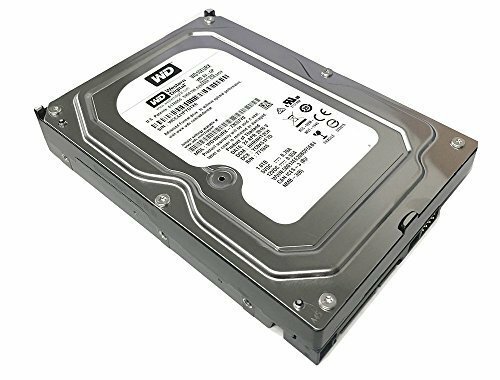 And with 24x7 operation, low temperature, and best-in-class reliability, WD AV-GP hard drives are ideal for DVR/PVR and video surveillance CCTV DVR applications. Highest capacity for audio/video storage: WD AV-GP SATA drives now offer unrivaled storage capacity 1TB - perfect for today's storage intensive applications. 24x7 reliability: These drives are designed to last in high temperature always on streaming digital audio/video environments such as PVR/DVR, IPTV, and video surveillance systems. Reduced power consumption: WD AV-GP drives consume less power. Lower power means less heat and greater reliability. Quiet: Noise levels have been minimized to less than one sone* - virtually below the threshold of human hearing. SilkStream: Optimized for smooth, continuous digital video playback of up to twelve simultaneous HD streams. SilkStream is compatible with the ATA streaming command set so CE customers can use standard streaming management and error recovery options. IntelliPower: A fine-tuned balance of spin speed, transfer rate, and caching algorithms designed to deliver both significant power savings and solid performance. For Surveillance, set-top boxes (PVR, DVR, NVR and IPTV), media servers and media centers. Passed WD Diagnostic Software + RE-CERTIFIED by State-of-the-Art software - Full "Sector-by-Sector" test to ensure best HDD quality! ZERO Bad Sectors!